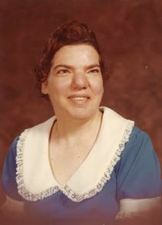 Edna Linda Wheeling Thomas, 75, of Maryland and formally of Floyd County passed away on Thursday October 18, 2018. She was preceded in death by her parents Guss and Arietta Wheeling. Edna is survived by one sister: Ruby Anders, one brother: James Wheeling, Nephews: Rossie C. & Sandra Anders, Jeffery David Anders, Wendell Scott Anders, Many Great Nephews & Nieces. Funeral Services will be on Thursday October 25, 2018 at Gardener Funeral home at 2PM with Pastor Raymond Martin officiating. Interment will follow in Restvale Cemetery. Family will receive friends one hour prior to service time. In Lieu of flowers donations may sent to the funeral home to help with funeral expenses.